You should be logged in to contact spuzz to ask for this sheet. Instantly downloadable sheet music by Jonathan Larson for piano solo of EASY skill level. Instantly downloadable sheet music by Jonathan Larson for guitar of MEDIUM skill level. 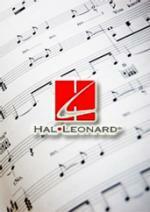 Instantly downloadable sheet music by Jonathan Larson for GTRSO of MEDIUM skill level.